Mickey mornin’, originally uploaded by Erin *~*~*. My favorite home made soap lady wasn’t at the market today so I decided to trawl the shops. 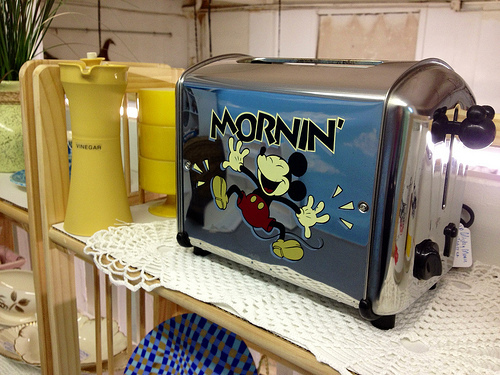 At the Open Door Shoppes on Hendry Street, I saw this Mickey Mouse toaster. See? You can have a Disney day wherever you are!